The Yi Halo is smaller and lighter than its predecessor, with better video quality, to boot. Two years ago, Google introduced Jump, a VR platform that uses cloud-based software and smart stitching algorithms to make 360-video creation easier than ever before. It also partnered with GoPro to make the Odyssey, a 16-camera rig that was the first-ever camera to have the Jump software built right in. Now, Google is ready for the next generation of Jump, and for that, it's partnered with a new company and made a brand new camera. The $16,999 device is called the Yi Halo, and Google is touting it as the "next generation Jump camera." The Yi Halo was built in collaboration with Yi Technology, a Xiaomi-backed GoPro competitor mostly known for its action cameras. 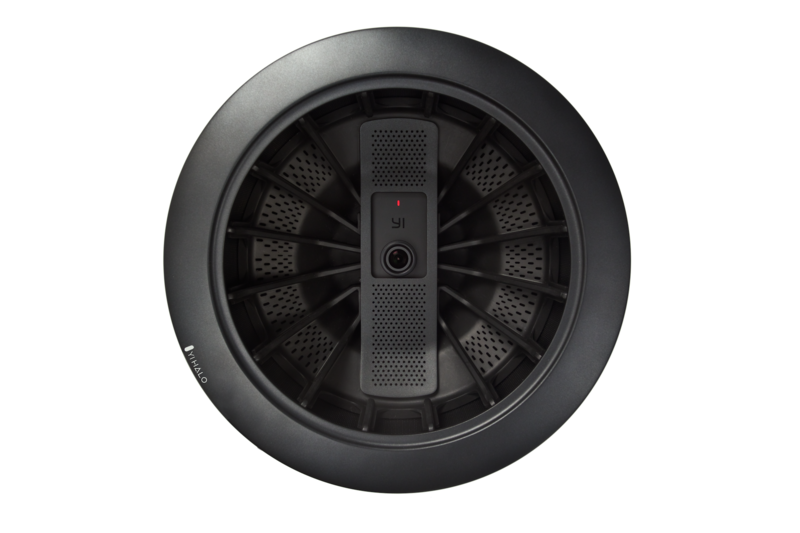 Indeed, the Halo is comprised of 17 different Yi 4K cams: 16 along the circumference and one placed in the middle facing up, which should result in seamless stitching of upward-facing views. The camera can generate 8K x 8k stereoscopic VR content at 30fps, as well as 6K x 6K content at 60 frames per second. Yi's CEO Sean Da says that the camera gives creators full control of various settings like ISO, white balance and flat color mode. What's more, the entire rig weighs only 7.7 pounds. I lifted and carried one around at an event in Google's San Francisco office, and was surprised at how light it was. This portability is unique in the VR world, where professional 360 cameras are often heavy and cumbersome. There's also a built-in battery that promises around 100 minutes of continuous footage, or you can plug it into the wall with an AC adapter. Da says that the Yi Halo can also accommodate batteries from third parties, which would allow for greater flexibility when you're in the field. On the base of the Halo is a small touch screen panel where you can monitor the rig's various components. At a glance, you'll be able to know the battery life and SD card status of each camera. What's more, there's even a companion Android app that works as a remote control and a live preview tool. And as for upgrading the firmware, that can be done either via the aforementioned panel or through the app. "The camera was designed with the software in mind," says Emily Price, a Jump product manager. An example of this is the position of that upwards-facing camera. It's not actually on top of the rig; it's actually located in a slightly sunken position in the middle. "We made this geometric decision because it leads to much better results in automatic stitching," Price said. "The upward-facing camera's view of the world is pretty different from the cameras on the main ring," she added. "If it were on top, it doesn't stitch as smoothly as you'd like." The solution was to drop the camera as low as possible in the center without the view being occluded by its construction. I had a look at some video shot with the upwards-facing camera located in those two positions -- on top and in the middle -- and the difference between the two is pretty stark. With the former, the ceiling looked a little warped, while on the latter, you couldn't see much wrong at all. Which brings us to the Jump software, which is really what makes the Halo special. 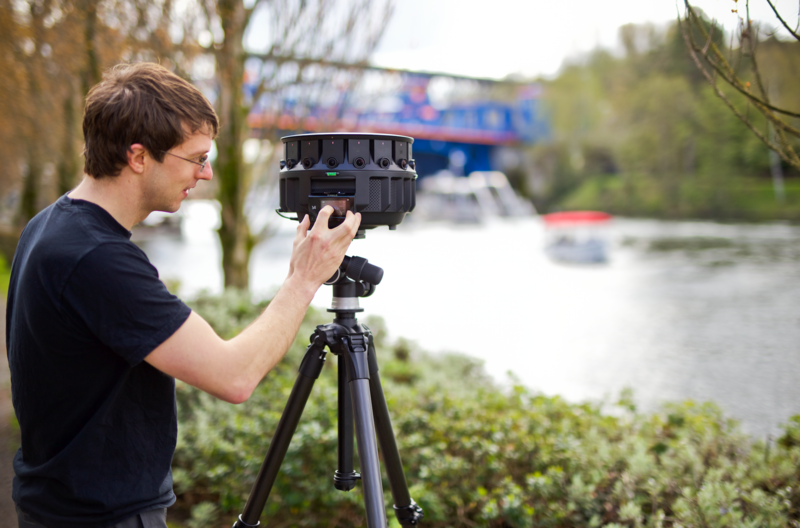 The Jump Assembler combines Google's computer vision technology and cloud infrastructure to take the inputs from the 17 distinct sensors and return one seamless 360-degree video. Thanks to Google's algorithms, the stitching is completely automated. It's a job that used to take weeks, but can now be done in just a few hours. "We're investing in tools and onset workflow as well," Price said. For example, the team has come up with something called a "rough stitch," which allows you to create a preview stitch locally on your laptop in mere minutes. This way you can check out what you've shot while you're still on set and know that you've got the shot before you move on to the next scene. Price says the software also does exposure correction and tone mapping, which helps adjust for the different lighting conditions on each side of the Halo's 17 different cameras. Other features of the Halo include a built-in timelapse mode, automatic depth map generation and crisp focus even when the subject is close to the camera. Armando Kirwin, a co-founder of Milk VR and a VR director who's tried the Halo for a few months, also had high praise for the device's "dynamic range" and "color reproduction," especially when compared to the previous Jump camera. It also performed great in low light, he said. "In our internal technical evaluations, this camera is just better across the board." Julina Tatlock, also a VR director and the founder of 30 Ninjas, a VR content creation company, says that she appreciates the depth map data provided by the Halo. "You can see where you can move your head," she said. "It's far more immersive." It's also far easier to add CG or other kinds of motion graphics, says Tatlock. 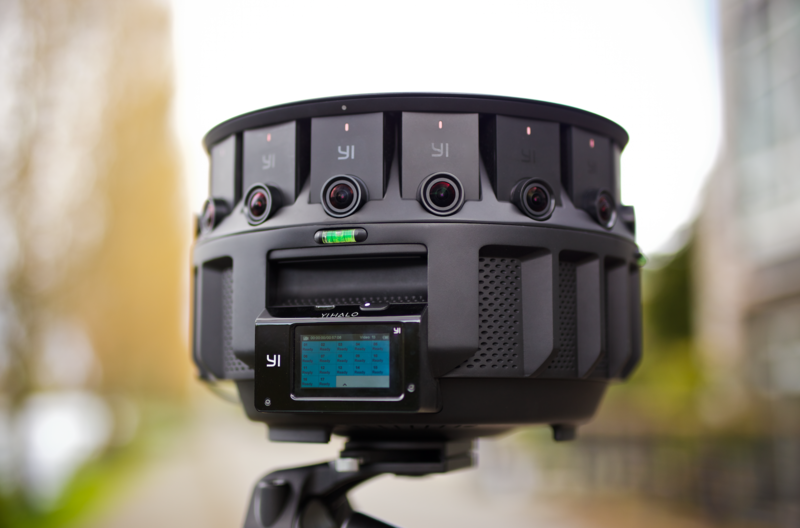 The factor that sets Google and the Yi Halo apart from other VR camera companies, Kirwin says, is that they actually worked with film creators from the get-go. "Simple things like exposure control -- it took us like two years to get that," he said, referring to early 360 cameras that didn't have that function. "But if they bothered asking a film student, they'd have known about it immediately." The Yi Halo is just the latest 3D 360 camera to make the news recently. 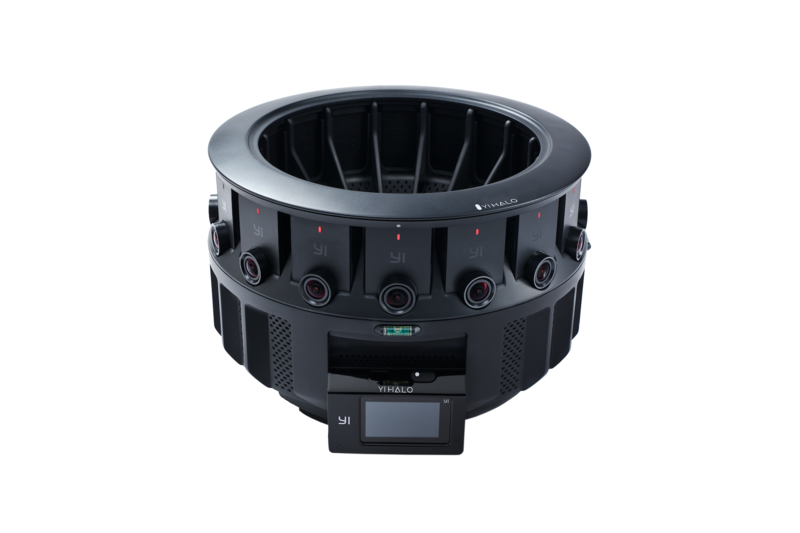 Last week, Facebook released its own additions to the Surround 360 family with the x24 and the x6. Both Facebook cameras have the ability to shoot in six degrees of freedom, which allows viewers to move freely in live action scenes as if they were in VR. But Kirwin, who was one of the first directors to use the original Surround 360 camera, says editing this sort of video requires hiring specialized editors, which costs a lot of money. "It's a totally different approach" compared to what Google is doing, he said. Indeed, while Facebook and others like Nokia and Lytro aim for the high end, Google wants its Jump cameras in the hands of the average content creator. "The Jump program is really designed around enabling a large number of creators today," said Jake Mintz, a VR video product manager at Google. "We've made very specific design choices to make this technology accessible and scalable to a wide number of people." That's why Google is also announcing a new program called Jump Start, which aims to give over 100 filmmakers free access to a Jump camera (at least until their film is made) and unlimited use of the Jump Assembler over the next year. So if you don't fancy forking over that $17,000 just to get your hands on the Halo, you can send in an application to the program starting today. The deadline to apply is May 22nd. "We want to reduce the complexity and cost in creating this kind of content," Price said. "By offering seamless stitching and saving the costly manual work of post-production, we can enable creators to think of the world in 360, rather than in slices."